The new HEIL PL-2 is truly the finest professional microphone boom available today. Absolutely silent as it is moved. Perfectly balanced and stays exactly where it is placed. 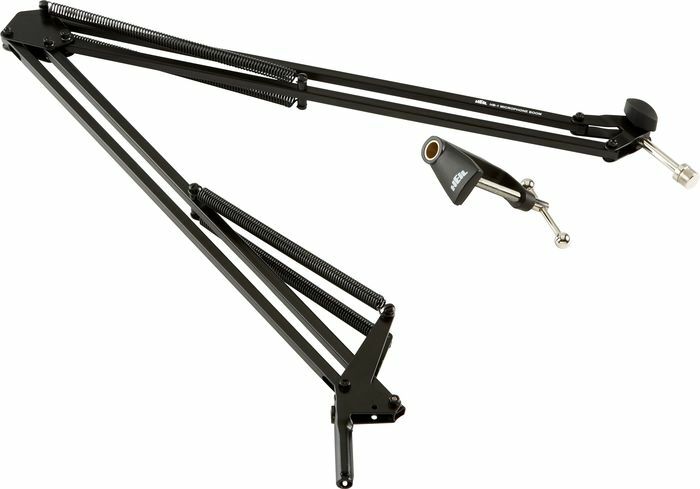 Using a system of perfectly balanced internal springs rather than the unsightly and mechanically unstable outboard springs used on booms of much lesser quality, the Heil PL-2 handles microphones up to 1.5 pounds in weight.